This post marks a major writing milestone for me, it is post 1001 on my blog. The blog has actually been hosted in three different places in it’s history but its migrated from server to server with reasonable success. All those 1000 posts still exist but many of the links are broken. What I’ve discovered over time though is that whilst all of these objectives are still true the most important reasons I write is not on the list. I’ve found that writing is fun, especially writing what I want, on my own timescales, with no agenda and no constraint. 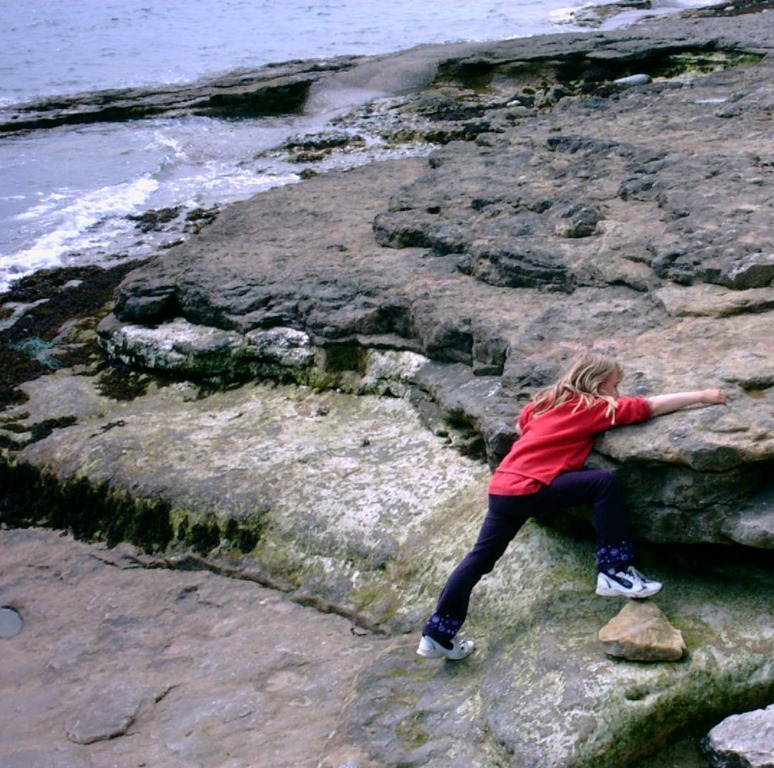 The picture is of ‘little Steph’ climbing on the rocks at the northern end of of Filey Bay, all of those years ago!